Sponsors | Passive Income M.D. I am grateful for the following sponsors who believe in my ultimate mission to help everyone achieve financial freedom through multiple streams of passive income. They allow me to spend time focused on creating and curating content for this site. I have vetted each of these sponsors to make sure they provide value to any reader of this site. If you’re in need of these particular services, I encourage you to see if they’re the right fit for you. If you’re interested in joining us as a sponsor, please contact us. Johanna Fox Turner, CPA, CFP ® , RLP ® is the founder of Fox & Co. CPAs, Inc. and Fox & Co. 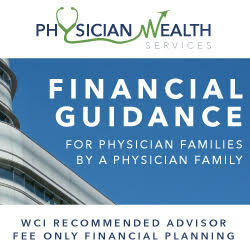 Wealth Management, a fee-only financial planning and investment management firm for doctors. She has 35 years of experience advising HNW clients on wealth protection, comprehensive financial planning, multi-state tax services, estate planning, business consulting, and succession planning. Both firms provide virtual Fixed Fee and hourly advice to clients throughout the USA and Mexico. If you’re too busy to juggle multiple advisors and want to clarify your finances, schedule a free consultation here. Ryan Inman created his virtual, fee-only practice to help young physicians take control of their finances. As part of a physician family, Ryan knows the pains, struggles and joys that come from a career in medicine. When his wife was in residency, he witnessed how vulnerable she was to poor financial advice that wasn’t in her best interest. Because of this, he shifted his practice to work exclusively with young physicians who could truly benefit from unbiased, quality financial advice. PWS seeks to provide clients with the financial literacy they didn’t received despite decades in school. He offers student loan analysis, comprehensive financial planning (starting at $200/mo. ), and investment management (.75% per year) with no investment minimums. Wondering if you can save for retirement while paying off student loans? Click here. 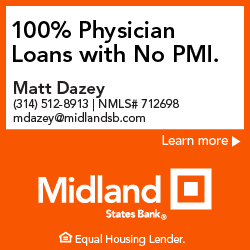 Matt Dazey is a Vice President and Mortgage Loan officer at Midland States Bank, one of the premier physician lenders in the nation. They’re unique in that they offer 0% down payment physician home loans, without PMI, in specific areas. Feel free to reach out to him any time with any questions. He’d be happy to help.